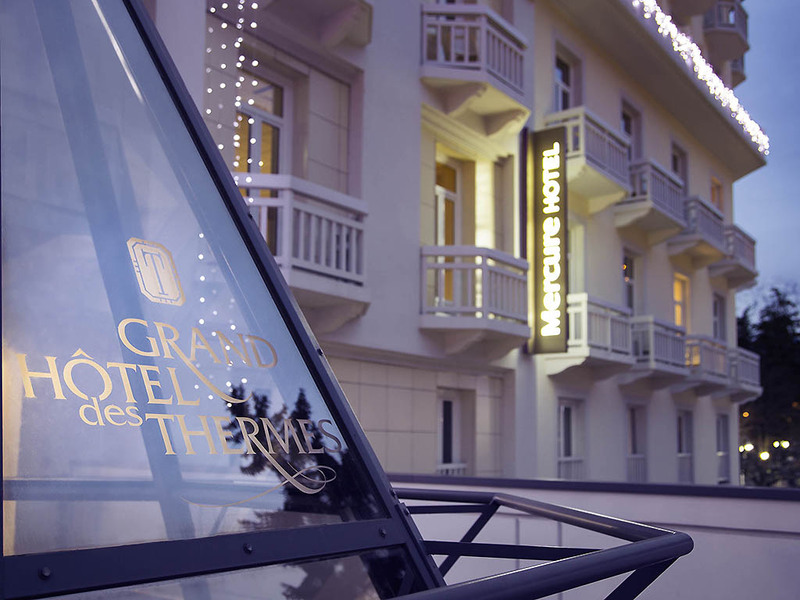 Fully renovated in 2014, the Grand Hotel des Thermes has 102 rooms and 5 meeting rooms with natural light; it also offers a restaurant with piano, fireplace, and extended terrace in a garden with swimming pool. There is a bar lounge with a giant screen an d billiards, as well as a reading lounge that can be privatized for cocktail evenings and banquets, all in a stylish, classic decor. Our spa treatments with hammam, sauna, heated swimming pool, and hot tub have been entrusted to the Cinq Mondes brand. Would you like to try activities other than skiing and hiking? You can relax in the botanical garden (thermal spa center), Le Doron cinema, Brides casino and the Méribel golf course. Cinq Mondes spa with indoor pool, hammam, sauna, hot tub; entry fee, free with a treatment. With a French-style ceiling with exposed wooden beams, this large room is warm and inviting. Traditional specialties in the winter and healthy or gourmet dishes in the summer. Chef Thierry Giannini prepares dishes based entirely on fresh produce. New bar lounge in an English pub style with custom made chairs and sofas. Wide variety of cocktails, traditional and local specialties. Occasional music shows. Open from 12:00 p.m. to 11:00 p.m.